– because family were here and I got out of bed at the ungodly hour of 8:30am, I actually had breakfast for breakfast, but not until about 11am. Could not eat anything before that, just not hungry. – because family were here, and I forgot to take a dinner with me, I ended up eating non lite n easy. – because I was distracted and busy, I forgot to take a lot of photos. I do still have a couple, though. This is the second week I have had the cheesy ham and tomato omelette. It is frozen, and you put it in the microwave for 2 minutes 30 seconds, and you would never know it was frozen. It kinda inspires me to try freezing an omelette of my own. It is one of my top picks, I like it a lot. I’m not so sure about the marmalade. 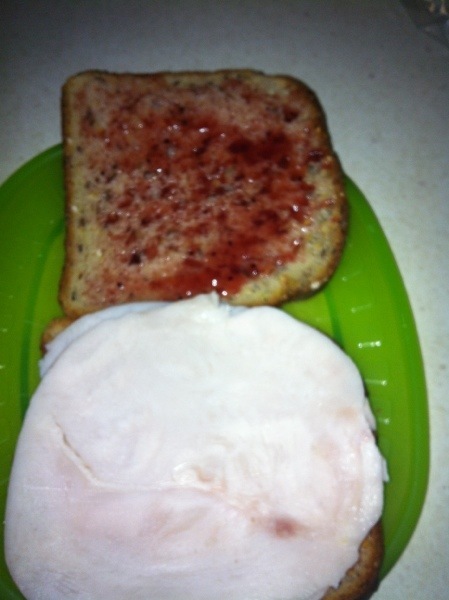 I think I might like to substitute my own flavour of jam sometimes. I have a blueberry one from Ikea that I like. This was nice but missing something, in my opinion. Needs avocado or something green, baby leaf salad maybe. 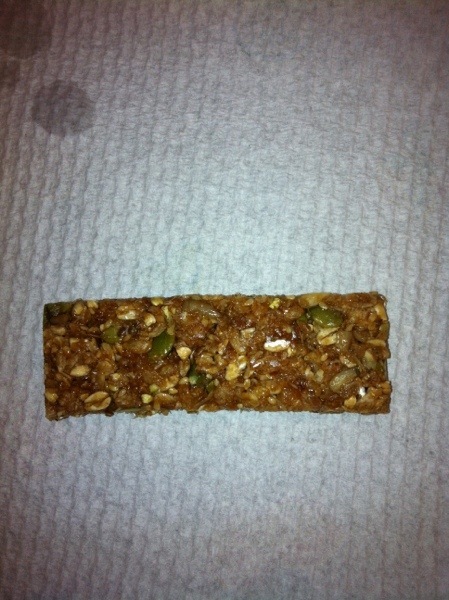 OMG the cinnamon oat bar. I cannot tell you how awesome that was. I did not think I was going to like it, and I was looking forward to it like a trip to the dentist, but WOWZA that was incredible. 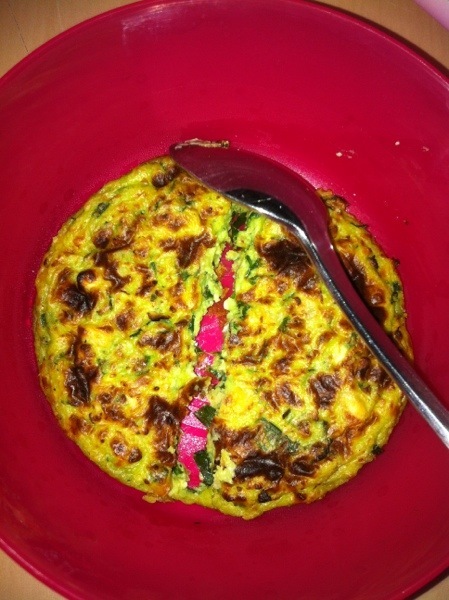 I love these ricotta spinach cakes, I have no idea what they make them out of – it isnt like an omelette, it isnt like a cake cake. Dinner – Non Lite N Easy – grilled chicken, baked potato, avocado salad. Again this proved an opportunity to see just how little I can eat in one sitting now. In days of old because dinner was my major meal of the day I would have gone back for seconds, and maybe even thirds of veg or salad. This time the one small serve I gave myself I was so massively full, I could not have fit in anything else.